Glamour has never looked better! 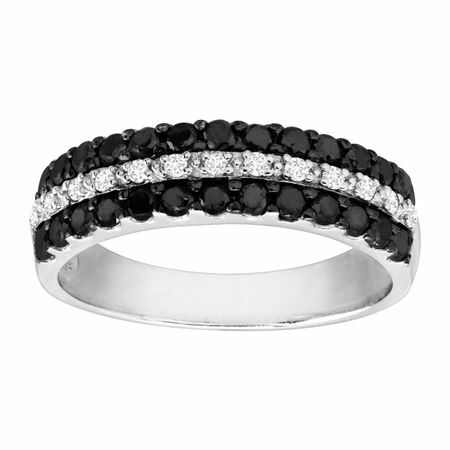 Take your ordinary style to the next level with this black and white diamond ring. Two rows of round-cut black diamonds are illuminated with a singular central strand of round-cut white diamonds, totaling 3/4 ct, in a bright setting of rhodium-plated sterling silver. Ring face measures 3/16 inches in width.